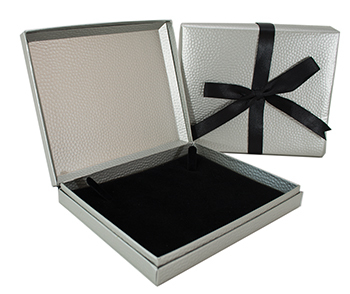 Your customers will love these new silver hammer texture paper boxes. 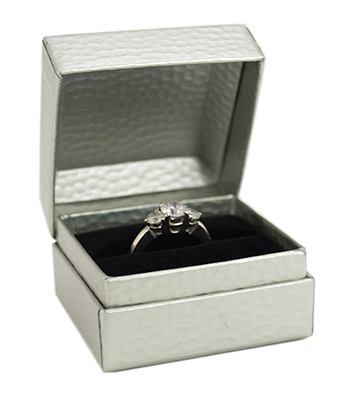 Black inserts, hinged box lids. 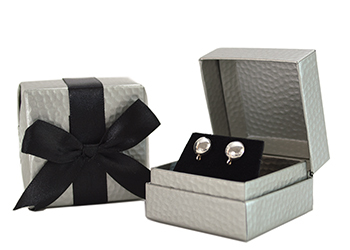 The matching pre-wrapped sleeve and elegant black ribbon and bow make these stylish boxes perfect for gift giving. 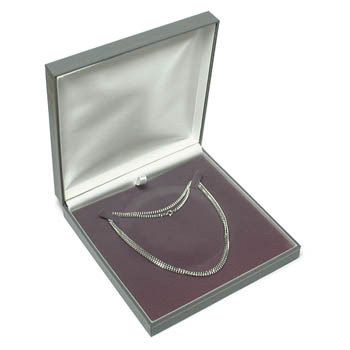 Pre-wrapped paper pearl/necklace box. 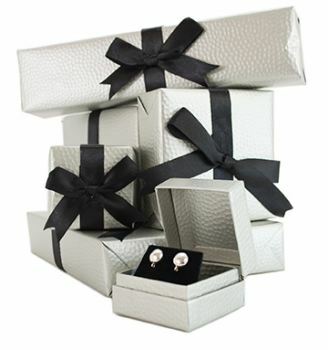 Silver hammer texture with black bow. 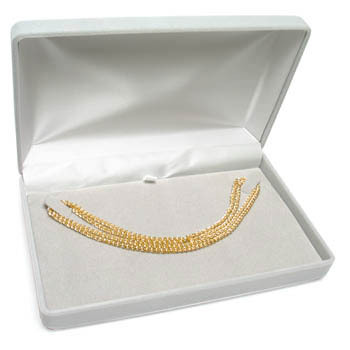 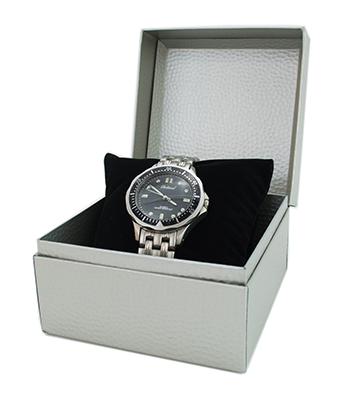 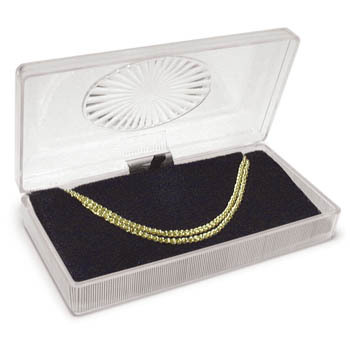 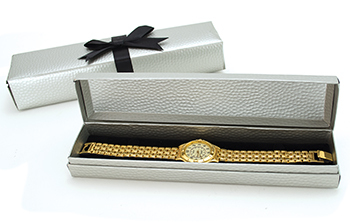 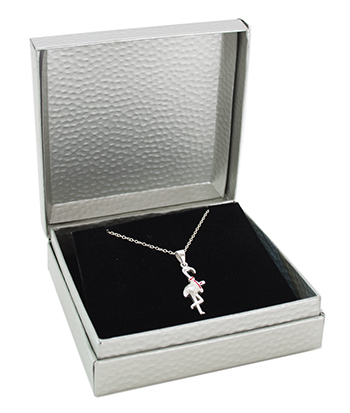 Combination box holds pearls or any necklace, with notches and tabs for multiple jewelry packaging options. 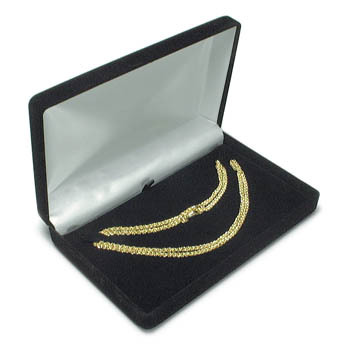 6-1/8" x 5-1/8" x 1-1/4"